Unlike the more well know Biennials of Art, the Hong Kong Contemporary Art Biennial Awards takes a local focus rather than an international one. The aim of the Award is to provide an open platform for the display of the best work from Hong Kong artists over the last two years. The Awards were decided in 2009 but are showcased between May and August 2010. I visited the Biennial exhibition recently. 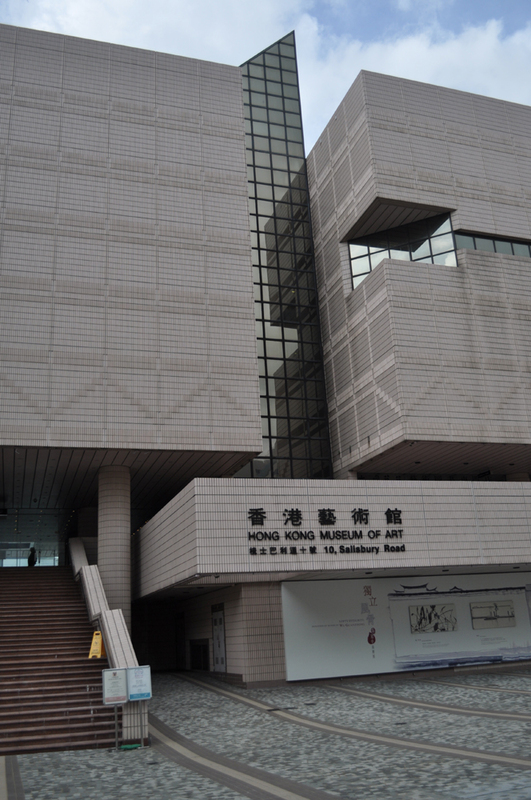 It is held in the Urban Council managed gallery the Hong Kong Museum of Art which showcases 83 artworks by 79 local artists. On navigating the space I felt one of the most apparent characteristics of the exhibition was its dualistic structure. 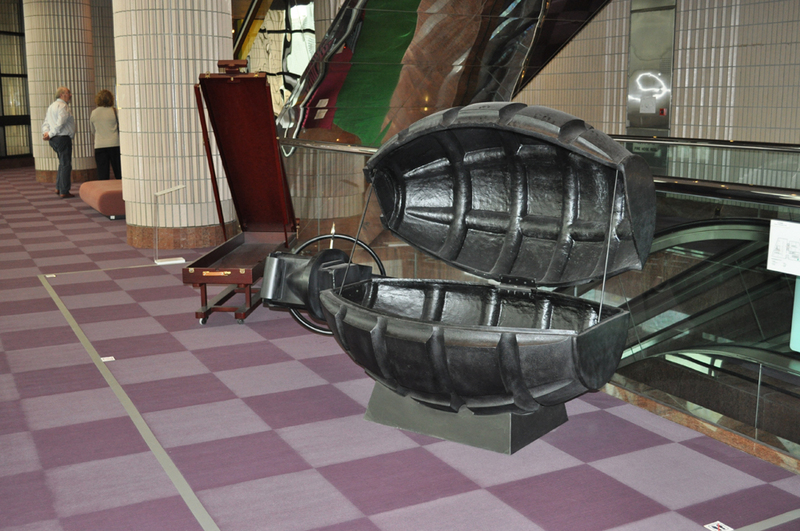 The exhibition is divided into two main areas leading from the foyer. The ‘Contemporary Art Hong Kong Art Gallery’ area houses a range of artwork that has clearly been influenced by the international trend for contemporary art, with western influenced video, installation, photography and paintings. In contrast, the other area of the ‘Special Exhibition Gallery’ has been constructed as a space for art with a clear Chinese lineage in terms of artistry, with calligraphy, seal carvings, and ink landscapes. The decision to divide the exhibition in terms of contemporary western influenced art and traditional Chinese art made me question if it was a commentary on the dualistic political structure in the region. With over a hundred years of British rule and a recent return of sovereignty to China, Hong Kong has an unusual political structure of ‘one country, two systems’. This political invention by Deng Xiaoping has been an attempt to bridge the gap of communism and capitalism but still remain as one the nation-state of China. However, this rhetoric has not bridged the gap of national identity within Hong Kong as there is still a void between Hong Kong’s Chinese identity and their identification with China. The reunification of Hong Kong to China was not decided by Hong Kong people so in many respects could be a form of re-colonisation rather than decolonisation which indicates that the affinity with China was not inherent in the culture. It is within this colonial and postcolonial or re-colonisation influence that Hong Kong people find their national identity and the rhetoric that inform the construction of spaces like the Biennial of art. It seems the significant dualistic character of this exhibition indicates that this nationalism rhetoric is far from clear. In many ways the complex identity emerging in Hong Kong art has more depth than the sensational Cynical Realism contemporary art movement of mainland China. This dualistic nature of the Biennial extends to the main Award, the ‘Achievement Award’, which was presented to two artists, Hung Keung from the ‘contemporary’ area and Fung Yat-fung (above) from the ‘traditional’ area. However, the significant aspect of these artists is that they both reference Chinese Philosophy as the conceptual foundation of their work. In his piece “Dao Gives Birth to One”, Hung Keung uses video installation to examine the relationship between human beings and Dao. Dao is a Taoist concept which translates as the ‘way’. It signifies the fundamental nature of the universe whereby every action creates a counter-action which can be expressed through yin and yang. The piece screens a video of black Chinese characters continually moving and merging, whilst the audience is invited to sit down among sixty different Chinese stools. It is interesting to note that this award winning piece would not have been accepted in past Biennale’s due to its large size. This loosening of competition rules gives an indication of the ever changing perception of the boundaries of art. 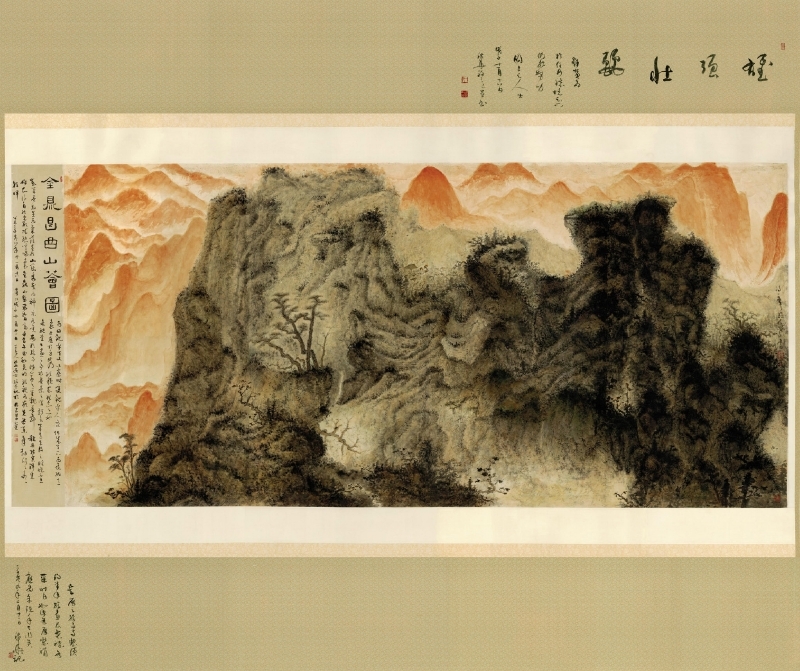 Like Hung Keung video art, Fung Yat-fung also references Chinese philosophical idea, using the idea of Yi Jing as the motif of his painting “Spirit of nature”. Yi Jing is an ancient Chinese book and the word translates as ‘change’. The difference in the prize winning pieces is distinct as Fung Yat-Fung draws fundamentally on the technique and materials of Chinese landscape painting whilst Hung Keung merges a digital video projection with installation. This dualistic construction of the exhibition made me question how if the divide between ‘traditional’ and ‘contemporary’ could be crossed. Perhaps in opposition to critics, I confess I enjoyed that this was a ‘contemporary art’ award with many distinctly ‘traditional’ works. There were many successful and interesting pieces that, so-to-speak, were traditionally contemporary western influenced art. However, this Biennial was made unique by having art not dominated by this western lineage. Within the ‘traditional’ room there were many classical landscape paintings done by established and young emerging artists. Many of the foundations of Chinese classical painting were adhered to but with subtle indications of their present day construction. This ‘traditional’ space also contained Chinese Calligraphy which I have not often seen in art galleries and the works exhibited illustrated the beauty and skill of this form of art. As a westerner I do not understand the characters specific meaning but viewing the calligraphy in a gallery context encouraged me to engage with the aesthetics of the mark making. I noted the different personalities of the marks, where some danced more, some were delicate and elegant, and others were heavier and bold. I was struck by the level of artistry in the construction of sometimes up to a thousand characters in row after row of immense delicate evenness. It was clear that the artist would require some mammoth meditative concentration to achieve this. At times I reflected on ideas about handwriting and how, perhaps, comical it would be to exhibit handwriting in western culture. 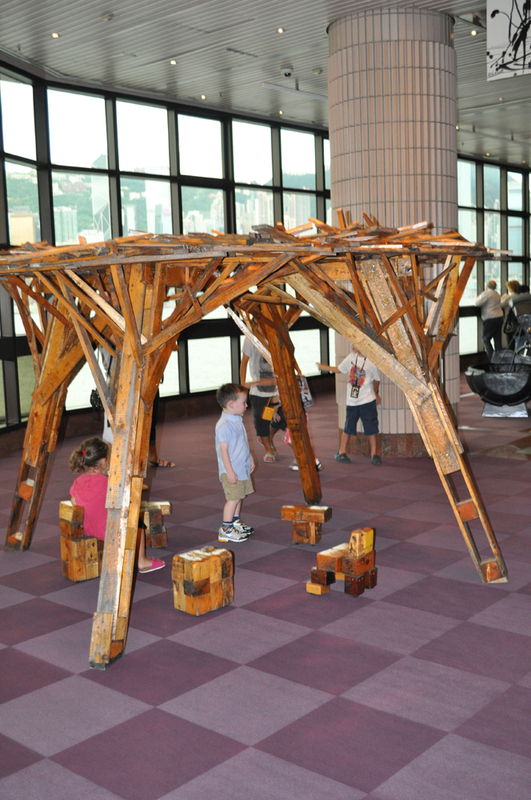 The Biennial is one of the few spaces for local artists in Hong Kong to showcase their work. In a city with huge real estate economic value there seems to be little room for art to carve its presence into the landscape. Viewing the exhibition I felt that I got some indication that Hong Kong art is thriving despite this lack of gallery space and its insignificant market value when compared with mainland Chinese artists. Hong Kong has a unique history that is not the same as mainland China and this complexity is reflected in the art produced. Nicola Moir is a Hong Kong born Scottish artist, currently based in Sydney, Australia. In addition to her training at Edinburgh College of Art, Nicola has accrued degrees in Geography from the Universities of Edinburgh and Sydney. She has exhibited her painting widely in two hemispheres. Fascinating, Nicky! Having lived ‘out East’ for a while in the past and travelled several times in China this new look at the Hong Kong art scene has really opened windows for me, how HK is managing to connect its two very disparate lives and also the power that the traditional arts still have over contemporary movements. Rightly so I think! The sheer beauty of Chinese calligraphy deserves to be more widely appreciated. Thanks so much.